I can’t get enough of fast, veggie-based blender sauces with plenty of kick lately, they’re perfect for a fast meal after a busy workday. Our poor Vitamix is being worked into the ground, if that’s possible. 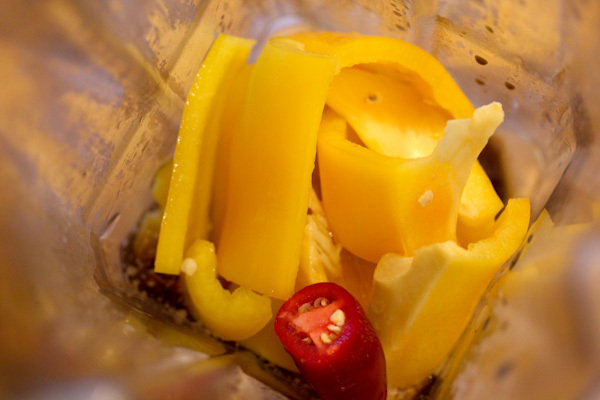 It gets used at least three times a day lately for smoothies, sauces, etc. The container is starting to look likes it’s been through a war, but that’s not a bad thing! 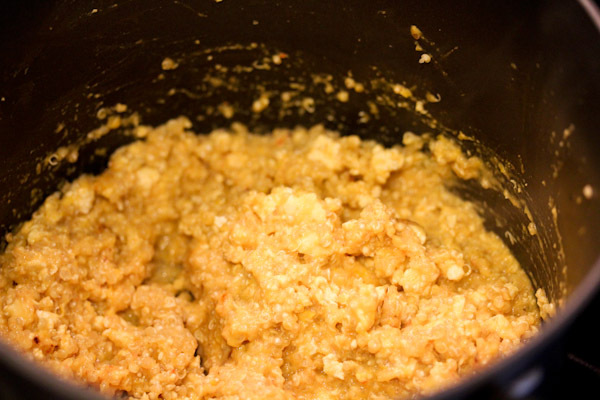 I got inspired by an episode of Raw Vegan Radio earlier this week discussing the health benefits of whole grains and created this sauce to turn a plain tofu and quinoa dish into a creamy, sweet, and spicy party. Blend all ingredients into a smooth and creamy texture and use as a sauce for stir fries, grains, salad dressing, or dip. Makes about 4 servings. Using an entire jalapeno in a sauce is daring since they can vary in heat levels, I knew the ones from our garden are pretty mild this year. But you can use half or a teaspoon of hot sauce to reduce the heat. 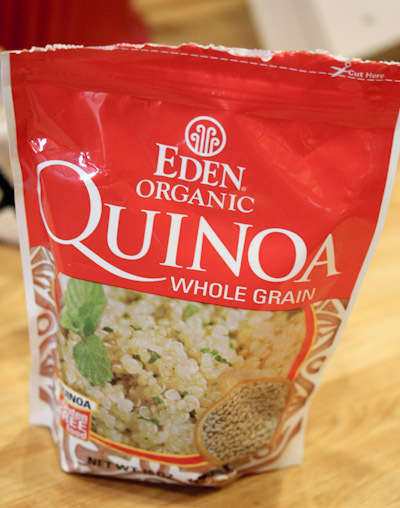 Currently I’ve been ordering this 6-pack of Eden Organic Quinoa from Amazon, it’s one of the cheaper prices I’ve found for organic and the 6 smaller bags makes it easier to store in the pantry and use incrementally while keeping the rest fresh. 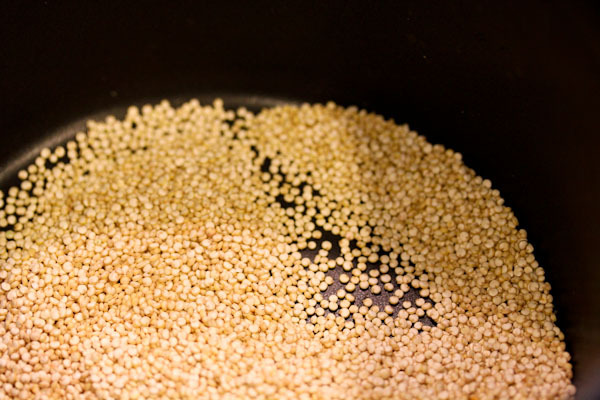 I’m a fan of toasting the dry quinoa on the stove top until golden before adding water to cook lately because it gives it a firmer texture and little crunch after cooking. I cooked 1/2 cup of quinoa for this dish. I also sauteed about 4 oz. 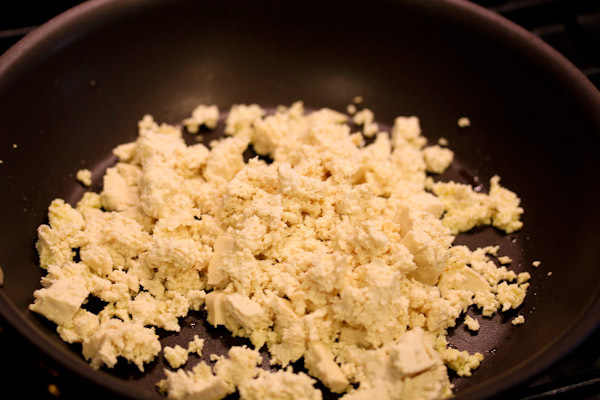 of crumpled extra firm tofu on the stove top. And mixed the tofu and sauce in with the quinoa after letting it cook for 20 minutes. 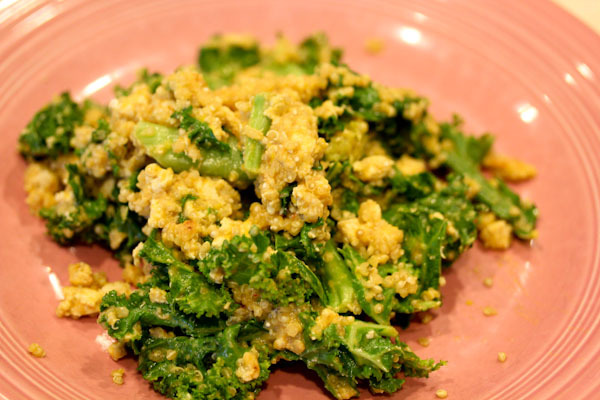 Then I removed the mixture from the heat to cool a bit and added fresh kale for a semi-raw, creamy quinoa dish. It was a pretty simple and fast one-pot meal that came out very creamy and rich with the right amount of sweet and spicy. Great looking sauce – love the one little medjool you added…bet it was a nice balancing touch! 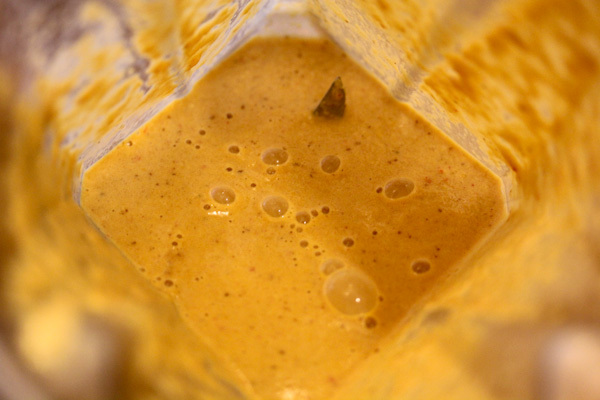 I love that you always make your sauces with bell pepper – they’re so delicious! Do you think a raw sauce on cooked pasta would be weird? Not at all on the pasta, I use raw sauces a lot in cooked dishes too like raw marinara and Kristen Suzanne’s nacho hemp sauce.